All Kings, Queens, Knights, and Nobles in Pre-K, Kindergarten, and first grade. 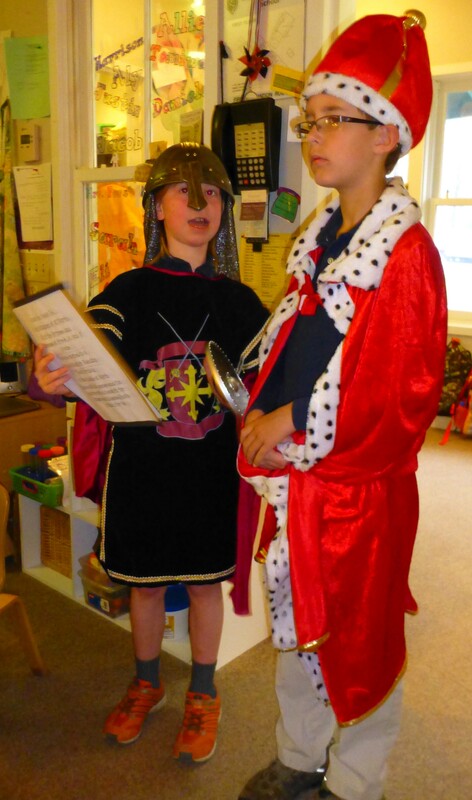 You have been summoned to attend a very special literacy night on Friday, April 11 at 6:00 p.m. A Knight for Royal Readers will be an educational and fun evening for all. Please plan to join faculty and friends for stories, reading games, story writing, make-and-take activities, and more. A delicious dinner and dessert fit for kings and queens will be served. Children are encouraged to wear their favorite royal attire. Please contact Kim Rovnan to RSVP to this majestic evening at rovnank@winchesterthurston.org or 412-486-8341. Two Third Grade heralds who stopped by to give us the news.